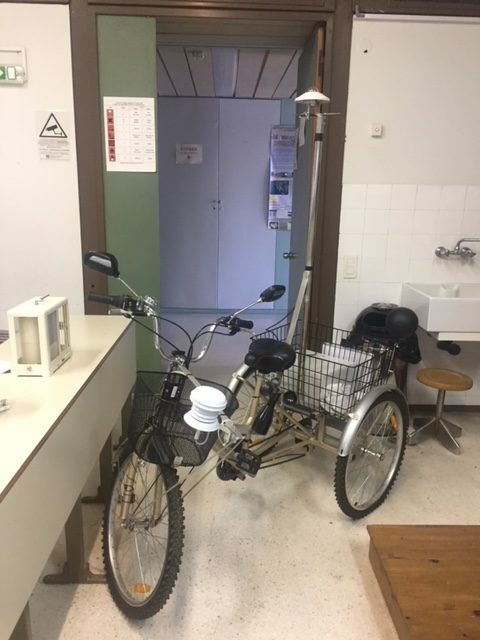 MeteoBicycle: Meteorological bicycle fully equipped with meteorological instruments, logger and power supply, for tracking the human thermal perception within urban and rural areas, in order to record the impacts of the intensified urban heat island effect. Weather station, established in the University campus, providing continuously real-time recordings of various meteorological parameters (air temperature, relative humidity, atmospheric pressure, precipitation, global solar irradiance, ultraviolet irradiance, infrared irradiance, sunshine, wind speed and direction). Numerous portable meteorological instruments, such as radiometers, thermographs, hydrographs, loggers etc.